The program of moving image shorts curated by Mary Magsamen of the Aurora Picture Show was presented by AMOA-Arthouse and Fusebox Festival on April 29, 2012. If the folk tale ranges over generations first orally and then beginning in the 17th c. with the advent of the fairy tale as a literary genre, key to its very being is its contingency upon each “author” and that teller’s positioning in place and time (or history). In devising innovative forms by which to tell tales, both familiar and novel, the titles included in Aurora Picture Show’s program Big Bad Wolf invoke this centuries-old performative spirit so imbued with a sense of the need to create in order to re-create. This the curators could know in advance of the event. While they also could know to some extent the screening’s setting (i.e., outdoors on the lush estate of Laguna Gloria in a leafy Austin neighborhood, part of Fusebox, etc. ), only until experiencing the evening in the process of its unfolding could they fully grasp—in consort with the invited audience—their presentation in its context-specificity. Their gander that the confluence of night, site and moving image program would be dynamic did not disappoint. Who could have scripted that peacocks’ cries (from next door at Mayfield Park) would add an otherworldly layer to the evening’s soundtrack, or that a family of swans would glide by just beyond the screen on the Colorado River shortly before the sun sank and the program began? Seemingly glowing in their stark whiteness against the darkening water, the scene foreshadowed the black-and-whiteness of the first film, Hansel and Gretel (1955)1 by Lotte Reiniger. While the director places black on top of white in her silhouette animation and the inverse relation of light to dark is witnessed in the swan scene, their chance juxtaposition results in an exciting formal interplay between the known of the film and the unknown of the event site. Although the viewer is awed by Reiniger’s dexterity with making shape and motion by cutting and arranging paper as well as by the experimental ethos necessary to arrive at such a signature style, there is a nagging feeling that the cinema pioneer is somehow restrained by narrative. Just as Hansel and Gretel seek refuge from the witch (who we hear to say in a deliciously scary voice, “little mouse who crawled away, come you back with me to stay”2), why shouldn’t the filmmaker straddle her broomstick and grant herself a joy ride from the onus of moving the plot forward? For Reiniger’s animation magic to be fully realized it must break free of the need to be a constant stream of information. This sense of formal enterprise being usurped by narrative gives potency to the screening’s extra-filmic composition (sky, river, breeze, animals), amidst which it is curious to note that Hansel and Gretel find their home again but—joined by the squirrel, goose and deer—are wilder than before. Beyond Reiniger, I found the two works humblest in production terms the most gratifying formally and conceptually. 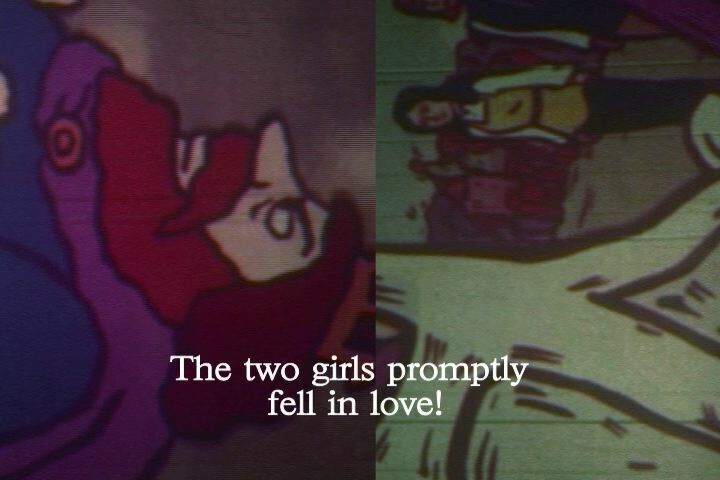 Putting Situationist teachings—Debord’s theory of détournement—to practice in Cinderella +++ (2002), Eileen Maxson disrupts the hegemony of the Disney classic through uncanny sound and image recombinations. The stunning cel (hand-drawn) animation of first Cinderella and then Lady and the Tramp is given afterlife by the voices of love interests (gone sour) appropriated from the soundtracks of the TV series 90210 and “Jack Nicholson in the film Carnal Knowledge”3 (left unidentified in the program notes). While the Disney images convey a (false) sense of security—the world’s the way it ought to be—the re-purposed dialog underscores how the unknown is all around us. In Atalanta: 32 Years Later (2006) Lynne Sachs4 takes as source material the 1974 TV show Free To Be You and Me—already an update on the classic tale of the “beautiful princess in search of the perfect prince”5—and re-edits it. She turns the image sideways, pairs different parts of the original through the use of split-screen, and plays both image and sound in reverse—providing “subtitles” for the resulting garbled voices. “The maiden from across the forest cut her hair, put on a mustache….” and the lesbian union strides onto the stage of collective imagination (and commands its role in history). Reading at the film’s tail, “for Barbara Hammer,” this retelling became all the more alive for me. In ways too manifold to express here, Hammer, legendary “pioneer of queer cinema,”6 has—like a fairy tale protagonist—found her way home time and again through many a tangled path. Caroline Koebel is a filmmaker and writer in Austin.